Alan Theisen (b. 4 Oct 1981) is a composer, saxophonist, music theorist, and educator. Theisen's compositions encompass a wide array of genres and instrumentation including chamber music, art song, solo piano, concerti, jazz, symphonies, and more. Praised by composer Dimitri Terzakis as being "the product of a unique talent," his works are frequently commissioned and performed by professional chamber musicians and ensembles around the world. Though Theisen's catalogue of over fifty pieces is stylistically diverse, all of his compositions exhibit unabashed emotional sincerity, memorable melodies, sensitive harmony, and carefully constructed formal designs—characteristics that inspire enthusiastic audience response and repeat performances. Some recent premieres of Theisen's music have occurred at National Sawdust (Brooklyn), New Music Gathering (Peabody Conservatory), and the World Saxophone Congress (Strasbourg, France). 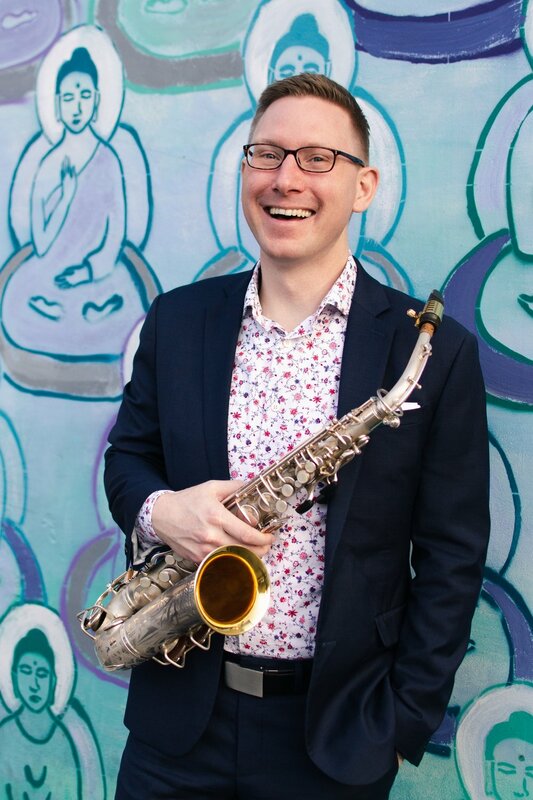 An active saxophonist, Theisen concertizes in classical recitals, performs with jazz bands and musical theater productions, and premieres/records the music of fellow contemporary composers. National appearances as a classical saxophonist include performances at the 39th Festival of New American Music, at the U.S. Navy International Saxophone Symposium, and as guest recitalist at the Wichita State University New Voices Festival. His voice/saxophone duo, Megan Ihnen and Alan Theisen present..., performs curated programs of contemporary music across the United States to audience acclaim. To extend his mission as a collaborative performer, he founded and directs two larger ensembles: the Resonance Saxophone Orchestra and the Asheville Modern Big Band. Theisen also specializes in the analysis and pedagogy of post-1900 classical music, presenting award-winning research on these topics at national and regional academic conferences. He has served on the executive and editorial boards of the South Central Society for Music Theory, Music Theory Southeast, and the Journal of Music Theory Pedagogy (online division). Theisen received his Ph.D. in music theory and composition from Florida State University and degrees (B.M. Music History and M.M. Music Theory) from the University of Southern Mississippi. He is currently working on a book about the late music of Dutch composer Tristan Keuris. Theisen is Associate Professor of Music at Mars Hill University where he has coordinated the music theory/composition curriculum since 2011. Previously he was Visiting Assistant Professor of Music Theory at the Jacobs School of Music at Indiana University.